Katy Stevens from katykicker.com writes about a variety of topics including money making and saving. 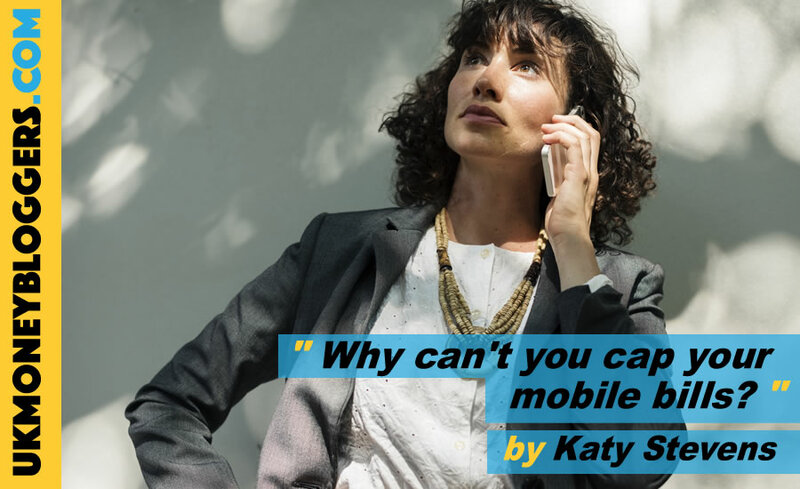 Today Katy shares her frustrations over mobile phone providers and the lack of help to protect customers from overspending. Recently I was helping my Mum with her finances. While my hard work has got her good prices on her utilities, and other services, it was time to look at her landline and mobile phone. My Mum has physical disabilities, that prevent her from being mobile some of the time, but thankfully she is still mentally capable. Mostly! I like to try and help her keep a tight control on her finances and share my own knowledge about money with her. This helps my Mum to make the most of her money and ensure that she doesn’t have to get into debt to have a nice lifestyle. Firstly I was able to secure her a half price deal with BT for 24 months. This means that her costs for landline and broadband will be fixed for the months ahead. This provides security for my Mum to have access to the internet, without spending a fortune on the service. Once I had dealt with her phone & broadband I looked at her mobile phone provider, O2. This is where my frustration began… I have told my Mum, numerous times, that ringing service numbers, those beginning with 0845 for example, is really expensive from her mobile. I’ve told my Mum about services such as Say No to 0870 and still she doesn’t want to put me out and ask me to find an alternative number. There were THREE calls on her latest bill. Just three. And yet the total of these calls was £29. £29!! Absolutely disgusting. Since when did it cost more than £35 an hour to ring up the local council?! I’m pretty sure you could ring an entirely different adult service for that kind of money! When we rang O2, to ask them to put a cap on the spending on my Mum’s account their answer was NO. Just no. They could not stop access to service numbers. They could not put ANY cap on her account. O2 tried to reassure us that if they suspected fraud they would be sure to put a stop on the account. I’m not sure this is the case either as one month they allowed my Mum to spend over £100 on these calls. To be honest I’m full of rage about this! Why are mobile phone companies ripping off vulnerable people? Why are they not REQUIRED to put a financial cap on the use of the services, if you ask them to?! If you have access to a credit card you can ask for a credit limit to be implemented. If you have access to a gambling service they will put a limit on the amount that you can spend if you ask them to. Why is it that a mobile phone company isn’t required to do the same?! As you can see O2 don’t offer this service. But other providers do, so clearly there must be the technology available to allow mobile phone companies to do so. I’m with Plusnet and they have put a £10 limit on my own account. Which means I never have to worry about a large bill. I’ll be ensuring that my Mum moves her custom from O2, to another provider. As soon as possible. One that DOES offer a financial limit to prevent this happening again. I’m extremely dissatisfied that O2 will not restrict my Mum to a set financial limit on her account. This means that she could be open to accidentally dialling an 03 or 08 number again and being charged more than 50p per minute.